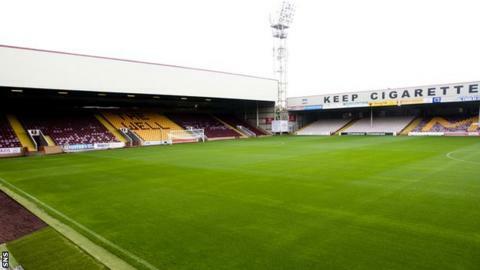 Motherwell's postponed Scottish Premier League game with Dundee United has been rescheduled for Wednesday, 7 November. Saturday's match could not go ahead because of a power cut in the Fir Park area shortly before kick off. Disappointed fans were issued with 'match abandoned' vouchers for use at the rearranged match. Those unable to attend next month's 19:45 BST kick off, should contact the Motherwell ticket office to receive a full refund. "We've all, at this time of the year, got our eye on the weather and both sides wanted this match played as early as we could," Motherwell chief executive Leeann Dempster told BBC Radio Scotland's Sportsound programme. "We could leave it and then you'd be into January perhaps before you get that match played. We were keen to get it played." The rearranged match will take place on the same evening as the televised Champions League match between Celtic and Barcelona. "If you're a supporter and you're a season ticket holder and you've got a ticket to come to a live match and it's your team, you're going to go to that match rather than watch another game on TV," added Dempster.